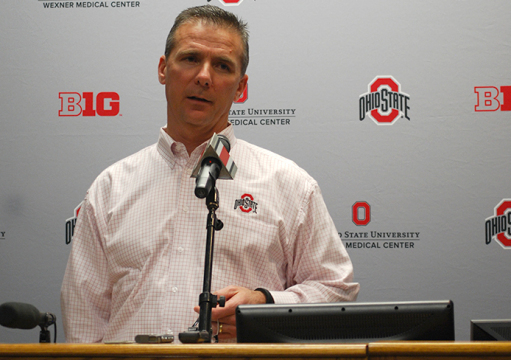 Coach Urban Meyer talks to members of the media Feb. 4 at the Woody Hayes Athletic Center. Going into national signing day, Ohio State already had four recruits signed and enrolled in classes. 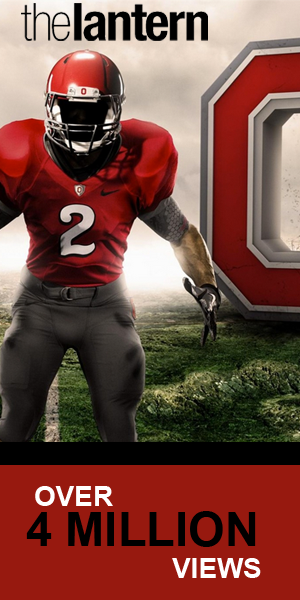 Coach Urban Meyer and the Buckeyes were confident of landing another 18 recruits who were already verbally committed. 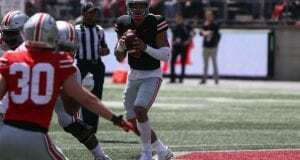 That adds up to just 22, yet when the fax machines stopped running at the Woody Hayes Athletic Center on Wednesday, there were 27 new Buckeyes. But that bad night turned into a good morning, as OSU received letters of intent from all five of those players who were certain. Defensive lineman Joshua Alabi and wide receiver K.J. Hill both chose OSU on Wednesday, before the school officially announced commitments from offensive lineman Isaiah Prince and quarterback Torrance Gibson. 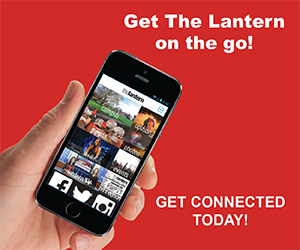 The last decision Meyer and his staff were waiting on was that of running back Mike Weber, a Detroit native and former Michigan verbal commit. Drayton, OSU’s running backs coach, said he was never in a similar position, but stressed the pressure recruits like Weber are under when signing day approaches. 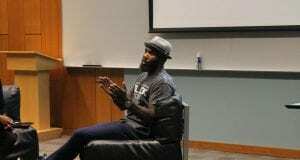 “I wasn’t good enough to go through what these kids have to go through on the signing day, but I can’t imagine the pressure they must feel, especially coming from a rival state like he (Weber) is,” Drayton said Wednesday. 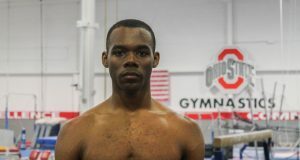 While some cases — like Weber and Gibson, who were both verbally committed to OSU going into signing day — came down to the wire, the Buckeyes didn’t lose any verbal commits to another school Wednesday. But they didn’t pick up every target either. OSU did receive commitments from five of its top six recruits who were on the fence, but others like defensive lineman Terry Beckner Jr. (Missouri) and linebacker Porter Gustin (USC) chose different collegiate paths. But even beyond Weber, Gibson and Alabi, the Buckeyes sealed signatures from two players who had yet to announce their collegiate decisions. Hill, a North Little Rock, Ark., native, visited OSU, Alabama and Arkansas in January, and had previously committed to the Razorbacks before changing his mind. Wide receivers coach Zach Smith said Hill initially chose not to visit OSU after committing to Arkansas, but didn’t fall completely out of the picture. Then when he de-committed, Smith said co-defensive coordinator and safeties coach Chris Ash spearheaded Hill’s recruitment, and eventual commitment. Meyer said he didn’t get to know Hill in the recruiting process, but he called him “very intelligent,” and said Hill comes from a good family background. Like Hill, Meyer had high praise for Prince. “There’s no better guy than that,” he said of the offensive lineman from Greenbelt, Md. Meyer said the Buckeyes’ College Football Playoff National Championship victory will pay dividends in recruiting down the line, but added it helped with a few players this season already. Overall, Meyer said he was pleased with the recruiting class, and noted the Buckeyes’ success recruiting in the state of Ohio, and with recruiting linebackers and offensive linemen. 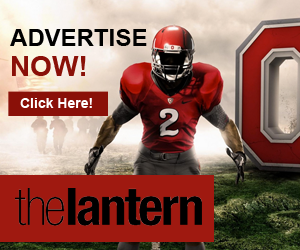 OSU signed 12 players from Ohio, including two of the top-10 outside linebackers, the No. 11 inside linebacker and six offensive lineman who each check in at least 6-feet-5-inches, according to ESPN. 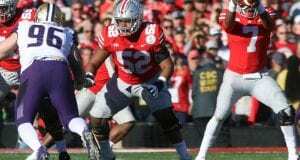 Those new linemen are set for the task of protecting whoever lines up at quarterback for OSU, which is now an even more crowded position group. Along with Gibson, the Buckeyes signed The Plains, Ohio, native Joe Burrow, another four-star quarterback recruit. 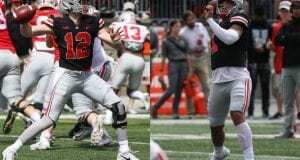 That gives OSU six scholarship quarterbacks on the roster heading into the 2015 season. Meyer said he’s never had a similar situation when it comes to the number of talented quarterbacks on the roster, and added his last night recruiting the new OSU class was a bit out of his norm as well. He added the process was fun once upon a time, but said now it’s simply getting commitments that he enjoys. While commitments like Weber, Gibson, and company made Meyer smile on Wednesday, he had spent the past season smiling after the Buckeyes won 13 consecutive games on their way to a national title. OSU is schedule for a chance to extend that streak against Virginia Tech on Sept. 7 in Blacksburg, Va.